Considered by some to be the grandfather of punk, singer-songwriter Jonathan Richman returns to The Basement East tonight, Feb. 22, for one of the most exciting shows of the week. The protopunk icon and musical trailblazer began making music in the 1960s, relocating from his native Massachusetts to New York City at age 18 in 1969, prompted by an infatuation with the Velvet Underground, a group who would shape his musical sensibilities. Failing to break into the scene as a solo artist, Jonathan relocated to Boston, where he formed The Modern Lovers, a protopunk group whose influence on the scene is immeasurable and criminally under-appreciated. Though the band’s existence was short-lived, tracks like “Roadrunner” and “Pablo Picasso” have gone on to become modern classics, prompting covers from the likes of Iggy Pop, Joan Jett, David Bowie, and countless others, and influencing artists like the Violent Femmes, Frank Black, and Weezer. After the original Modern Lovers split (other members would go on to join groups like Talking Heads and The Cars), Richman maintained the moniker, releasing albums that were largely solo in an effort to find a more laid-back, avant-garde, and eclectic sound, until the late ’80s. Since ’89, Jonathan has operated under his own name, and, all projects combined, has produced more than 20 LPs, constantly pushing boundaries and reinventing his style, but never abandoning his optimistic, whimsical, worldly musical outlook. Though he’s arguably never been given the full recognition he deserves, Richman has seen a late-career resurgence since the late ’90s thanks to appearances on Conan O’Brien, and in films like There’s Something About Mary and Fever Pitch. Never slowing down on his prolific output, in recent years Jonathan has almost exclusively toured with drummer Tommy Larkins, performing largely acoustic, and settling into an easygoing, personal live style. Jonathan Richman a certifiable living legend, and you’d be crazy to miss this intimate, inexpensive chance to see him live. 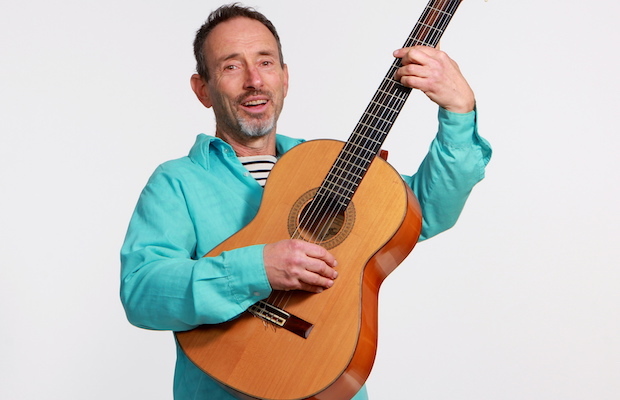 Jonathan Richman and Tommy Larkins will perform tonight, Feb. 22 at The Basement East. The show is 18+, begins at 8 p.m. (doors at 7 p.m.), and tickets are available to purchase for $15.